Is there love after 50? Yes! 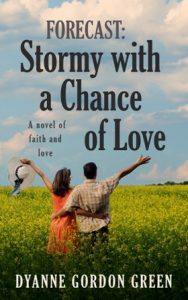 Delightful, sweet fiction with a strong Christian theme starring couples in their 50s. Maggie Archer teaches at Freedom Christian University and is very active at her church. Though never married, Maggie, now fifty, still longs for a relationship. One that is based on Biblical principles and filled with love and friendship. Frank Porter, 55, owns his own construction company, is quite successful, and is a born again Christian, ready to share the Gospel with anyone and everyone. Frank came close to marriage several years ago but it didn’t work out. He finds nights and weekends are too quiet and too lonely, but he has resigned himself to his solitary lifestyle. Maggie and Frank have a chance meeting at the large church they both attend and are very taken with each other. They meet again and find the attraction is mutual, however, they both have secrets they aren’t sure they want to share now or ever. 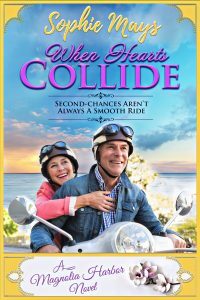 Is their faith and trust in God strong enough to overcome their past secrets or will they go their separate ways, never experiencing the joy they could have together? Can Rachel forgive herself for past decisions, and open her heart to love again? Rachel King lost everything that was important to her. 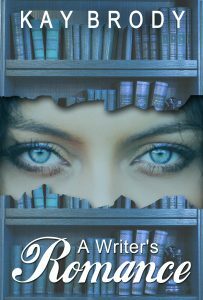 After her husband dies unexpectedly, she loses their home and business; she loses it all. After months of struggling, she is just starting to put her life back together when she receives a letter from an attorney—a letter that totally turns her life upside down. 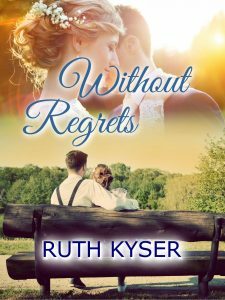 Without Regrets takes you through the heart-wrenching ordeal of one woman’s journey to forgiveness as she struggles with the “what ifs” of life. She knows she has God’s forgiveness, but can she forgive herself for past decisions that hurt others, and open her heart to love again? Angelica was done with love…until it decided to run straight into her. After losing her husband six years ago, Angelica has finally begun to get a grasp on this next phase of her life: looking after her granddaughter, spending time with her adult children, attending her church group, and wielding a mean gingerbread cake pan in the kitchen. When Dylan realizes that he’s hit someone’s car in the parking lot, he does all he can to right the situation. Lending his car to the unexpectedly fiery Angelica Bennett is the least he can do. As extenuating circumstances lead the two to spend more and more time together, feelings begin to blossom. Just as Angelica cautions to think there may be a chance at love out there for her again, she’s blindsided by the arrival of an unexpected acquaintance. Will Angelica be given a second chance at happiness? And can Dylan make a difficult decision in order to come to terms with the true needs of his heart? If you like heartwarming, sweet, and uplifting small town romances, then you’ll love Sophie Mays’ beloved Magnolia Harbor. Hope Nolan is too busy for love, and that is just fine with her. Between her bakery and her six-year-old son, Rylan, her heart and her schedule remain full. Besides, she knows full well the complications love can bring. One naive choice during her headstrong teenage years saw her facing more responsibility than a girl that age should face. Hope Nolan is strong though, and with the help of her mother, she manages to raise Rylan and run a thriving business in her hometown of Magnolia Harbor. “The Wedding Cake Queen” they affectionately call her in any town within 20 miles of Magnolia Harbor, and not because she likes weddings. Her cake and cookie decorating skills are the talk of the town, and her blog where she displays her latest creations has twenty times as many followers as the population of Magnolia Harbor. 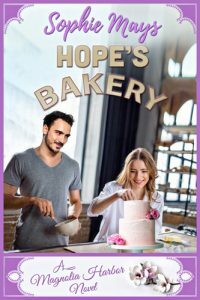 There’s only one problem, a handsome and well-traveled young chef is opening up a restaurant in the space across from Hope’s bakery, disrupting her satisfying and uncomplicated life. His tiramisu might even manage to steal some of her regular customers. In the end, Hope will need to decide how she is going to handle this new addition to Main St. She may even learn that the most unexpected miracles happen when chooses to do what’s right for her son, her business, and her heart. They affectionately call her “The Wedding Cake Queen” in any town within 20 miles of Magnolia Harbor, and not because she likes weddings. Her cake and cookie decorating skills are the talk of the town, and her blog where she displays her latest creations has twenty times as many followers as the population of Magnolia Harbor. A combination of two things: Running into an old friend who I learned had been a single mother for the many years that we hadn't seen each other, and watching her fall in love with a great man who added so much happiness to her life. It allowed her to grow beyond what she had ever thought possible. Also, I think everyone who runs their own business, or supports themselves or their family, deals with the struggle of never feeling grounded, never feeling like you are safe or successful enough. Learning to manage those stresses, and finding a way to take care for yourself at the same time, is something that everyone deserves. It's so incredibly important, and yet it is so easy to sacrifice your own well being without a second thought. If you don't take care of your heart, your body, and your souls, you can't ever fully live up to your potential. I just want everyone to know how loved they are and that they are important. Alyssa Eastman is engaged to the man of her dreams. Jason is smart, attractive, and he makes her laugh. 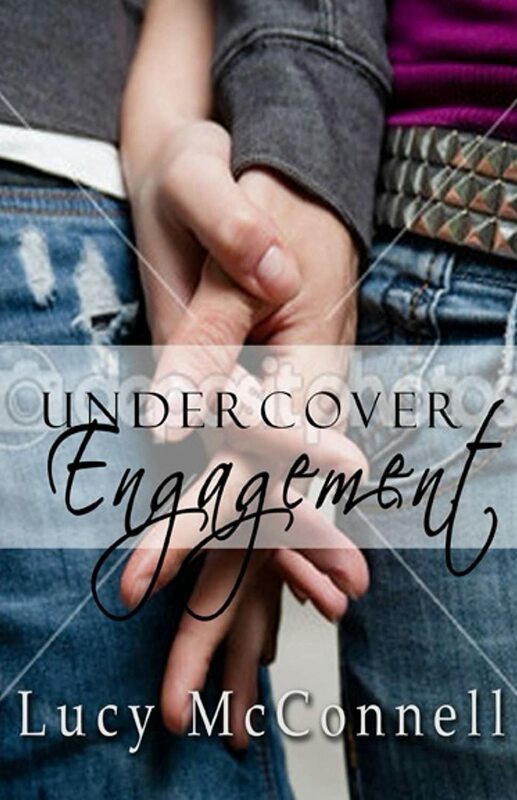 When the couple is attacked by a group of men who call Jason by the wrong name, shoot holes in his beautiful car, and try to run them off the road, Alyssa learns her perfect fiancé is also the perfect spy. With his cover blown, the only way to bring down an international terrorist group is for Alyssa to steal the information. 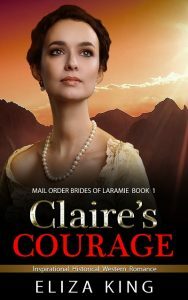 She agrees to help, putting her life on the line; but, putting her heart on the line and marrying a man who lied to her about his identity (albeit for national security – but still!!) is a much harder decision. This whole book came out of the idea for the Las Vegas wedding scene. I had that scene planned out long before I knew how I was going to get Alyssa and Jason to Las Vegas. It was such a fun idea – that I just had to write the book.